It was early. She wasn’t supposed to be up yet. She ran off to her room and got dressed, looking forward to getting downstairs and reading by the fire. We recently talked about how to avoid nickel-and-dime purchases, when we said to match your buying volume to your usage patterns. There’s another good way to balance your spending between “wants” and “needs” … make a compromise with your future self. It’s $50. I don’t really have $50 to spend on it right now. And anyway, let’s say I know I need to save up money for something else — we’re behind on our retirement saving, and I really want to be better about that. “Retirement” is a big, far-off goal, but I can certainly break it down into smaller goals. 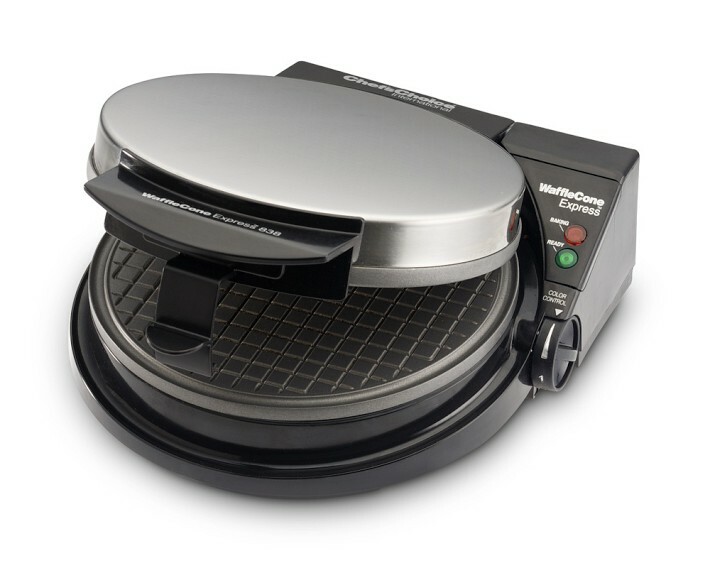 I can make a compromise with myself: The waffle cone maker costs $50. So the agreement I make with myself: once I’ve saved $500 towards the need (retirement), I can buy the want (the waffle cone maker). In this case, I set the goal for the need as 10x the cost of the want, but, obviously, that’s flexible. What we’ve done here is just like what I did with Frances this morning: I set up a compromise, where I agreed to the “fun” thing, as long as the “not as fun, but really important” thing has been taken care of. 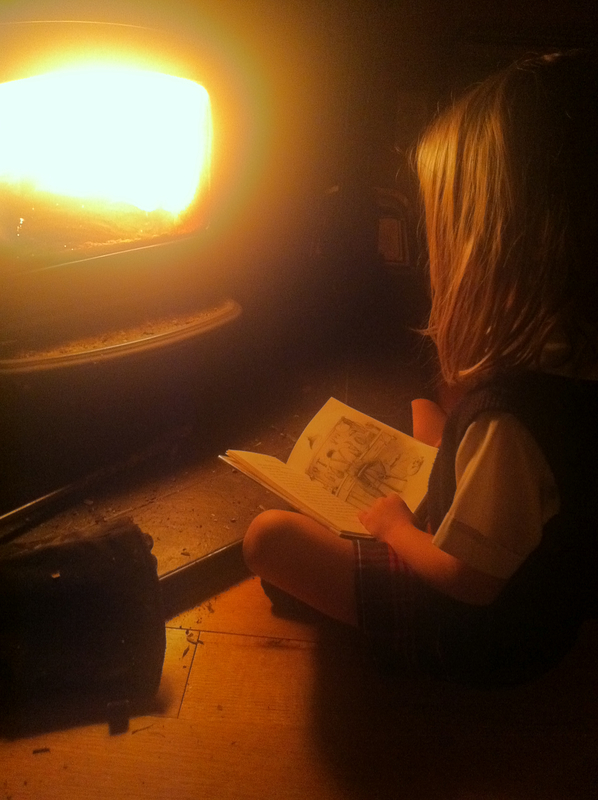 And, by the way, Frances loved her time reading by the fire. Do you have any tips for ways to balance your needs with your wants? We’d love to hear them in the comments! We recently asked on the PearBudget page at Facebook what topics you’d like us to write about, and one of the questions posed was “How do you resist nickel-and-dime purchases?” We thought that’d be a great one to tackle first. Ultimately, avoiding nickel-and-dime purchases is about knowing what you need, knowing what you want and knowing what you have available to spend. It’s also about keeping all that in mind while you’re out shopping (or spending time “just looking” on Etsy). I recently saw a quote I liked: “Don’t buy something unless you’ve wanted it three times.” The problem with that quote, though, is that there’s tons of stuff I want. Literally, tons. A Mini Cooper, for example. (Technically, that’s only one ton. 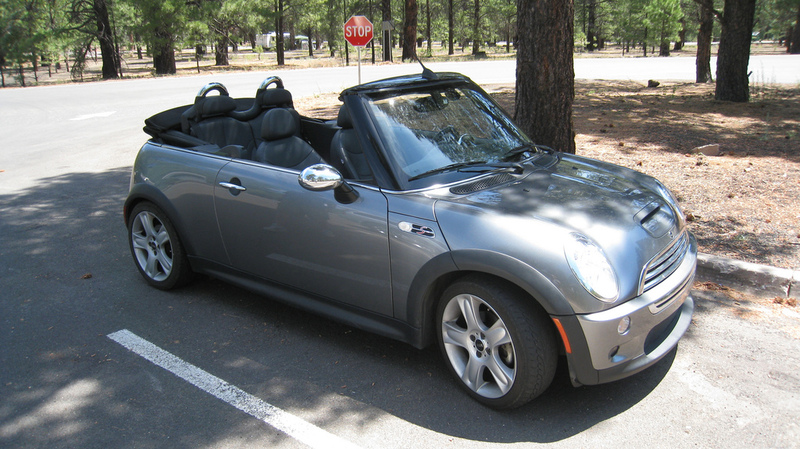 But I’d sure love to have two Mini Coopers. So: tons.) And I’ve certainly “wanted” a Mini Cooper more than three times. So should I buy one? Of course not. I’ll take two. Or, wait. Hold on. Maybe not. But that idea of waiting has a certain merit: How do we keep ourselves from buying things that don’t really matter? Or if we’re buying things that matter, how do we keep from buying more than we need (the “supersize me” problem)? We can save money if we buy in bulk, right? So maybe the trick is to buy everything in large volumes, so we avoid little purchases? Well … buying in bulk brings its own problems. One of the tips that I find most useful is to match your buying volume to your usage patterns. In short: For things you use all the time, go ahead and buy bulk. For infrequent things, buy the smallest size possible. We all have “the staples”: things we know that we use day-in and day-out. For us, peanut butter is one of those things. There’s other stuff that we buy less frequently — things like asprin, or lightbulbs, or wrapping paper. That doesn’t mean you should buy the single-serving asprin packs. It also doesn’t mean you should buy the 200-count paper towel pallet. It means you should buy stuff in moderation, at a reasonable volume for the rate you’ll use it. You don’t want to overbuy — if you buy too much perishable food it could go to waste, and if you buy too much other stuff, that money could be used for other things. At the same time, you don’t want to underbuy — making “another run to the store” is inconvenient and opens you up to the possibility of buying more stuff just because you’re already out. So the trick is to buy just the right amount. It sounds kind of dopey to say “buy more of the stuff you use the most,” but that’s exactly the formula. The idea: when you use stuff often, buy it in bulk, upsize it, and try to get a cheaper price-per-unit. When you’re buying something that you don’t use often, scale it back, go small. Do you have any secrets for buying the right amount and resisting nickel-and-dime purchases? If so, we’d love to hear about them in the comments. Thanksgiving is actually my favorite holiday, mainly because it’s a recognized day for family and friends to come together and spend time catching up and being with one another, but it hasn’t become commercialized the way that the others have. And since it’s so close to Christmas and Halloween, I’m hoping it’ll stay safe. One thing that isn’t always safe when it comes to Thanksgiving, though, is peaceable conversation around the dinner table. Hot topics you can look forward to this year — Israel/Palestine, pot legalization, gay marriage, and global warming (and Hurricane Sandy). Yikes! We wanted to give you something safe to talk about with your distant relatives, then, and it deals with saving money. This is actually one of the simplest money-saving tricks you can do in your house, and I’ve wanted to write about it for a while. It takes 30 seconds, you only have to do it once, and it can save you lots of money every year. All you have to do is this: The next time you take a shower, notice whether you have the hot water turned on all the way, with no cold water. If that describes your shower: congratulations! You don’t have to do anything. But if you have cold water mixed in with your hot water when you shower, you’re probably overheating the water in your house’s water heater, and you should turn the water heater down a few degrees. 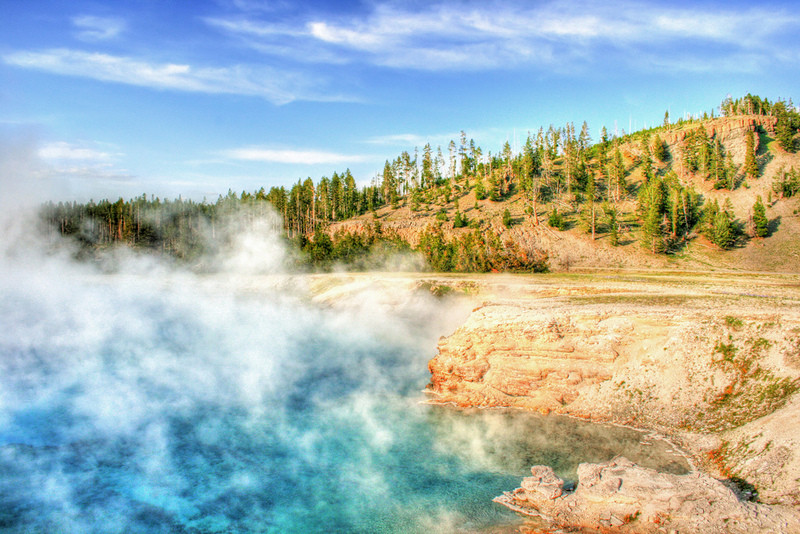 Think about it: Your shower is probably the thing in your house that uses the hottest water. Heating the water heater beyond the temperature you need is just wasting electricity / propane / gas. So, as you sit down for your meal and sense that a cousin on one side of the family and an uncle on the other are about to start an intense conversation about something you’d really rather not get into at the dinner table, bring this up and steer the conversation towards saving money. And once they start talking about it, you can get seconds on the pie. I’ll get into the meat of the post in a second, but the important takeaway is this: we want you to have the best internet experience possible (not just at PearBudget, but everywhere!). If you haven’t upgraded your browser in a while, we want to help you do that! Visit What Browser for an easy way to do it! Hey, everybody! We’ve been a little quiet here on the blog lately. No, scratch that. We’ve been very quiet here on the blog lately. A bunch of reasons for that, but the most exciting one is that we’ve been re-building PearBudget from the ground-up. We get requests every day for various new features — like being able to group categories into custom collections (so all utilities could be together, or all “food” spending, and so on), or like tag auto-completion, or … well … we get a lot of requests. We built the original version of PearBudget way back in 2007, and over the last 5 years, a few things have happened. I’ve gotten better at programming. We’ve gotten a better sense of your needs for budgeting. 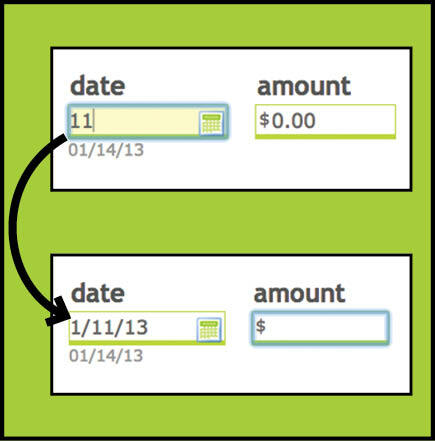 Technology itself has improved, meaning we can make PearBudget faster, prettier, and even more easier to use. All exciting stuff. But to do that, we basically needed to rebuild PearBudget. So for the last several months, I’ve been working on recreating PearBudget starting with a blank slate. My goal is that — at first — you won’t even notice. It should look and feel just like it does now (except maybe run a little faster). (If things don’t work the way you expect them to, that’s a problem!) Then, since the backend will be all-new, I’ll be able to roll out new features far more easily. One of the important things to note about the new version of PearBudget is that you’ll need to have a relatively recent browser to use it. Google, for example, is phasing out support for old versions of Internet Explorer (version 8 and lower) starting tomorrow. We want you to be able to get online, though, and to use PearBudget! 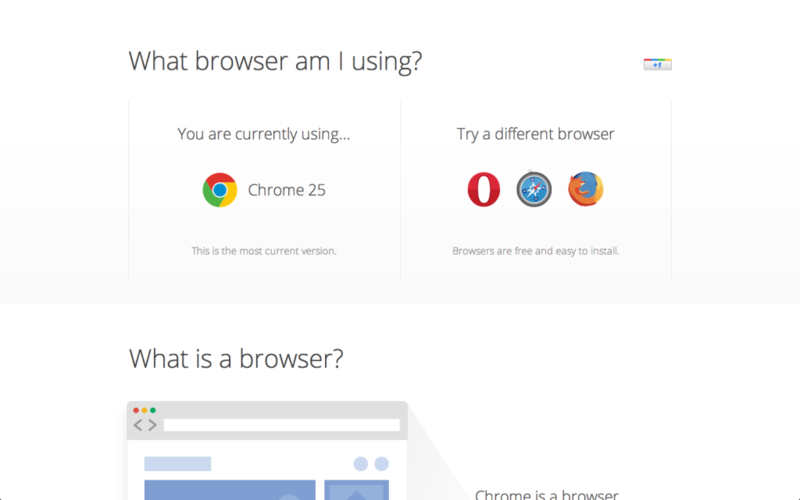 So we wanted to explain how to upgrade your browser. First, though: what’s a browser? It’s the software you’re using to read this post! The most common ones are Google Chrome, Firefox, Safari, and Internet Explorer. Here’s a screenshot of a tool (What Browser) that’ll tell you what browser you’re using. Note! This is just a picture I took from my system! Yours will show something different. Click on the image, though, and you’ll see your results! You can see what browser you’re using here: http://whatbrowser.org. If you aren’t using the most recent version of your browser, either upgrade, or click on one of the alternative browsers (I recommend Chrome! It’s the one with the red, yellow, and green circle icon). All browsers are free. We’re still running some tests on the rebuilt version of PearBudget (e-mail me at charlie@pearbudget.com if you want to try out the faster-but-otherwise identical PearBudget! ), but we’re hoping to have it released soon. In the meantime, check to make sure you’re on a recent version of your browser so you can have a faster, prettier, and more secure time on the Internet! I wrote a post over at SimpleMom on how to refinance your home. Have you had your mortgage for less than 10 years? Are you currently paying more than around 5.5% in interest? Are you going to be in your house for more than two years?